On one side, where Dubai is called the land of opportunities, there is a very challenging hospital career in Dubai. 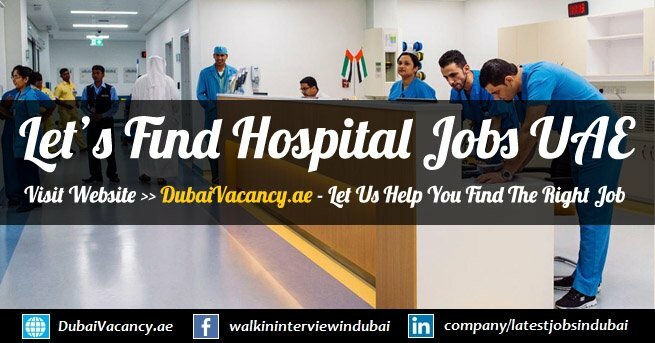 Day by day, more and more people are taking interest in Hospital Jobs in Dubai or anywhere within the UAE and that’s why it has become challenging to start the career in this field. Hospital jobs are not only offered in this country for the doctors but many other posts are also available from time to time. There are many people who have been providing their services in management field to UAE hospitals and there are in fact many who have been working as low level workers. Hence, you can apply for the post that is relevant to your experience and qualification. Actually, hospital field related jobs offer the best salaries and many other facilities are also provided to the employees. People who have already been working in Dubai hospitals do not even think about quitting their jobs. Consequently, only a few jobs vacancies are found open. This is one of the challenges that you might face if you want to find career opportunities is UAE Hospitals. Anyways, luck is when opportunity knocks at your door and you answer. 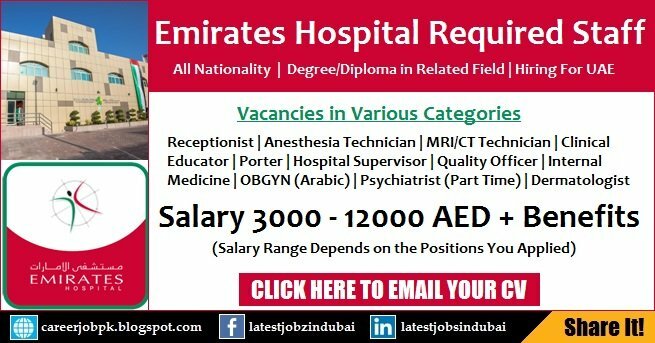 Below you will find the list of Hospital Jobs in Dubai and across UAE. Take a few moments to drop your CV there. All the very best!